Construction employment declined in 28 states from October 2011 to October 2012 even as 31 states and D.C. added jobs during the past month, according to an analysis by the Associated General Contractors of America of Labor Department data. 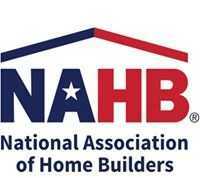 Association officials noted that residential construction gains were being undermined by the broader business uncertainty being caused by the threat of the looming fiscal cliff. Among states losing construction jobs during the past year, Delaware lost the highest percentage (-11.0 percent, -2,200 jobs), followed by Arkansas (-8.4 percent, -3,900 jobs) and Alaska (-8.0 percent, -1,200 jobs). New York lost the most jobs (-12,800, -4.1 percent), followed by Pennsylvania (-10,400 jobs, -4.6 percent), New Jersey (-7,400, -5.7 percent) and Illinois (-6,900 jobs, -3.6 percent). Simonson noted that 21 states and the District of Columbia added construction jobs between October 2011 and October 2012, while employment was unchanged in Vermont. The District of Columbia again added the highest percentage of new construction jobs (15.6 percent, 1,900 jobs), followed by North Dakota (11.8 percent, 3,000 jobs) and Nebraska (10.8 percent, 4,400 jobs). Texas added the most new construction jobs over the past 12 months (46,900 jobs, 8.4 percent), followed by California (27,700, 5.0 percent) and Indiana (7,400, 6.0 percent). Michigan (-3.7 percent, -4,500 jobs) had the steepest percentage decline among the 18 states that lost construction jobs for the month, followed by Arkansas (-2.9 percent, -1,300), Idaho (-2.3 percent, -700) and Kentucky (-2.1 percent, -1,400). The largest number of construction job losses in October occurred in Michigan, followed by Louisiana (-1,500 jobs, -1.2 percent), Kentucky and Arkansas. Construction employment levels were unchanged for the month in New Hampshire. The highest percentage construction employment gains for the month occurred in Alaska (9.5 percent, 1,200 jobs), followed by the District of Columbia (4.4 percent, 600 jobs) and New Jersey (3.8 percent, 4,500 jobs). Texas added the most jobs during the month (13,600 jobs, 2.3 percent), followed by New Jersey and California (4,100 jobs, 0.7 percent). Simonson noted that the October data was collected before Hurricane Sandy hit the Mid-Atlantic States, so it does not reflect changes in employment caused by the storm. Association officials continued to urge Congress and the administration to reach an agreement to avoid significant tax hikes and extreme spending cuts that could undermine the nascent economic recovery. They cautioned that an economic slowdown would force many already cash-strapped construction firms to make additional cuts to their workforce.